Foodista | Biodynamic Wine: Is There Voodoo in Your Glass? Biodynamic Wine: Is There Voodoo in Your Glass? 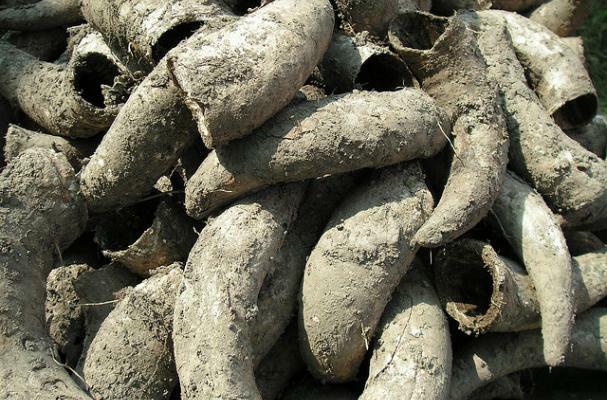 What do cow horns have to do with wine? If you make biodynamic wine, they are one of the tools of the trade. (And they get filled with manure and buried in the vineyard.) Although there are certainly some mystical aspects of the practice founded by Rudolf Steiner that raise some (ok, many) eyebrows, Katherine Cole's Voodoo Vintners: Oregon's Astonishing Biodynamic Winegrowers is an even-handed, entertaining chronicle of the growing influence of biodynamic wine and its practicioners. What is a biodynamic wine? It's a wine made via a system of agricultural practices using natural treatments and native species to foster plant and soil health; the emphasis is on preventative rather than reactionary vineyard management. For example, instead of attacking mold, rot, and pests with chemicals, biodynamic winemakers will spray natural preparations ("teas") on vines and in the soil to prevent these ailments from arising in the first place. They will plant native species that will encourage a healthy ecosystem and attract beneficial insects and animals. Harvesting and other major vinyeard and winery events are guided by the lunar calendar. But you can't talk about biodynamics without delving into the life and work of its chief architect, Rudolph Steiner (1861-1945). Cole describes him as a "freakishly accomplished polymath," which I think is not hyperbole when you talk about a man who wrote 25 books and gave more than 6,000 lectures on 350 subjects. (Feelings of inadequacy are coursing through my veins right now.) Rather than gloss over Steiner's beliefs in clairvoyancy and other esoterica, Cole puts it in the context of the times and doesn't shy away from giving a complete, unvarnished picture of Steiner. This chapter-long biography begs for a more in-depth, new appraisal of Steiner. Fans of Oregon wine will have plenty to chew (sip?) on. While the inspiration to take up biodynamic wine practices stemmed from some of the most prestigious French wineries (especially in Burgundy) adopting these techniques, there is a lively community of winemakers in Oregon embracing biodynamics. And plenty of detractors as well, who also get to tell their side of the story. While it's easy to embrace any agricultural system that eschews pesticides and chemical treatments, some winemakers find it too rigid and dogmatic. They would rather have the flexibility to do whatever is necessary--as a last resort--to ensure they will have a crop to harvest. My favorite approach would have to be the one taken by Todd Hamina of Biggio Hamina Cellars: "I extracted as much as I could from biodynamics while minimizing the kookiness." Full disclosure: I received a free copy of Voodoo Vintners from the author.